﻿Mobilegeddon occurred on April 21, 2015. This is when Google initiated it's mobile-friendly update. ​Google wants to find the best websites that are easy to read. So what does this mean for you? Did you know that more than 60% of all internet searches are done with a phone or tablet? If your site is not responsive to mobile devices and mobile friendly you will loose business because your WILL NOT be found in the search. You are de-ranked. Don't take my word for it... Check out Forbes here. Your not alone. 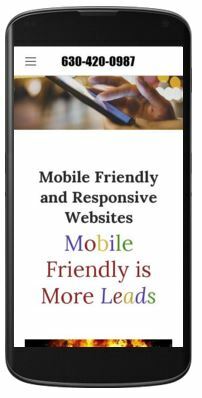 An approximate 40% of all websites are not mobile friendly. Look at the picture above. Do you want the edge over your competition? Do you want that extra 40% business that your competitors site is missing? Crush Them All ! Extremely Agressive Moderately Agressinve I Don't Know What I am Doing? Crush your competition and get rewarded with a higher search engine raking with a Google friendly mobile responsive website. Steal you competition's business because they are lazy. You now know that if you have a website that is not responsive and mobile friendly then Google will decrease your search ranking. Since most searches are now done with a mobile device, such as a tablet or smart phone, Google is now rewarding websites those with mobile-friendly sites by ranking them higher in mobile search. We will happily take your existing website and re-create a responsive and mobile ready version. Don't be fooled and get offered a second mobile version. Google derankes duplicate versions of websites. A responsive and mobile friendly website. Live updates: any changes made to your desktop site are reflected immediately! Click here to find out if your site is mobile-friendly.